Tigné Point is a distinctive blend of historic elegance with 21st century amenities. 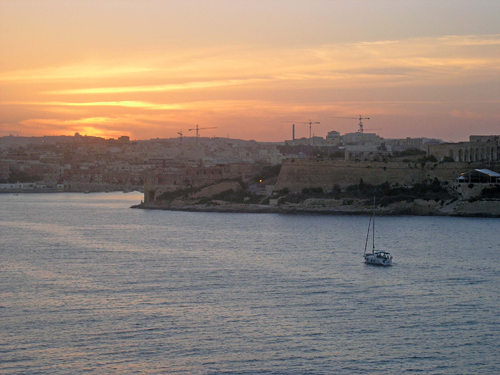 Situated on the tip of Sliema peninsula, the development offers seafront views together with an idyllic panorama of Fort Tigné and across to the iconic Valetta skyline. The vehicle free complex offers a state of the art shopping centre, choice of restaurants and a spectacular pool and clubhouse all with views across Marsamxett harbour, home to the annual regatta. Fort Tigné was built in 1782 to strengthen defence against sea borne attack for the peninsular. It's impressive walls and bastions are wonderfully integrated into the development at Tigné Point, with extensive manicured and beautifully landscaped walkways around the fort and the shoreline. The extensive underground parking garage provides access to the shopping complex on three floors. The Point offers a broad range of shops, from fashion, bookstores, supermarket, restaurants cafe's and bars, as well as a Marks & Spencer food store and Debenhams. There is really no need to leave the peninsular, should you so wish. The proximity of the sea can be fully enjoyed at Tigné Point. The Tigné North foreshore offers wonderful diving and swimming, while Tigné South has fair weather berthing facilities for boats and visiting yachts.